There are so many things going behind the scenes on a computer, it’s hard to pinpoint what might be waking up your PC. Your network may be one of them, and more often than not, it’s the only culprit. Preventing your network from waking up your PC can also save your battery life, prevent issues with malware and spyware and just save the network adapter itself from overheating. We’ll show you how to prevent your network from waking up your computer in Windows 7, Windows 8 and Windows 8.1. This guide was written using Windows 8.1. However, the steps work for Windows 7 and Windows 8 PCs, too. The steps might vary as we go on, but the basic guide will work in all three operating systems. If you have any questions or need any clarifications, let us know in the comments and we’ll troubleshoot with you. In order to stop your network from waking up your PC, we’ll need to open the Device Management menu. 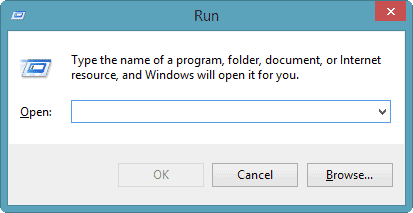 Use the Windows keyboard shortcut “Windows Key + R” to open the Run command. Scroll down to Network adapters and expand its list. This’ll open the properties for your network adapter. If your PC has multiple network adapters, you will need to do this for each one. 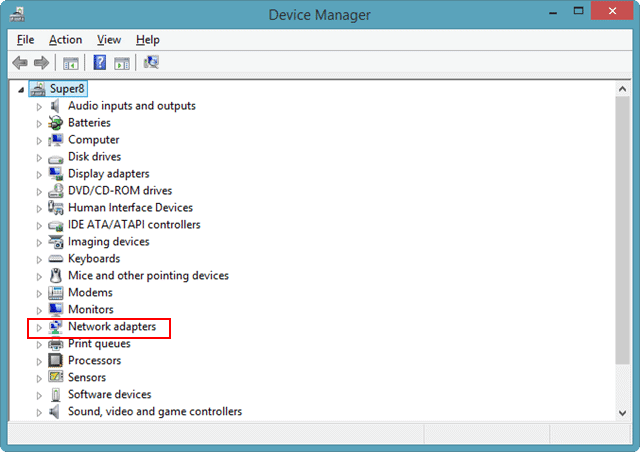 Also, depending on your computer and how its network adapters work, not all network adapters can change this setting. Sometimes laptops won’t allow you to change the setting, again depending on the setup, because of power plans and hibernation settings. 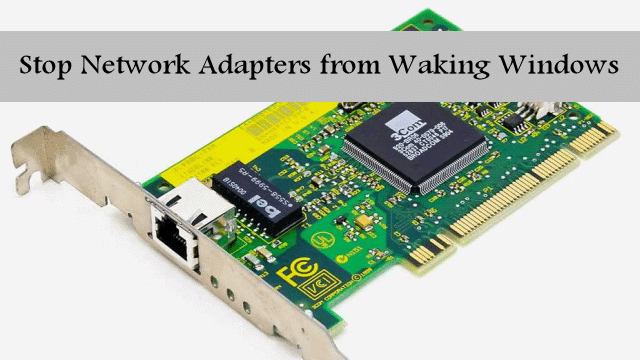 In some cases, your computer won’t let the network adapter wake the PC. Until you check the settings for each one, there’s no way to know. You’ll always have some sort of acknowledgment of the network adapter waking the PC, so you’ll always learn one way or another if this is the case through these steps. In this example, I’ve opened the wireless adapter properties on my laptop. By default, it can’t wake my PC during use, so I’m all set there and don’t need to do anything further which makes this easy on my laptop. In my next example, I’ve opened the properties for my wired adapter on the same laptop. As you can see, this will allow me to change the settings. 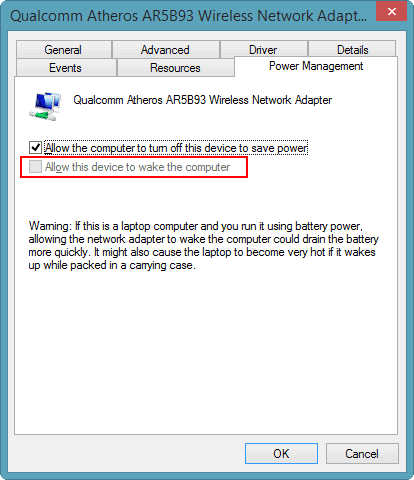 However, my laptop was already configured by default not to allow the adapter to wake it. This also makes this even easier for me, and you may be just as lucky but until you make it this far, you won’t know. 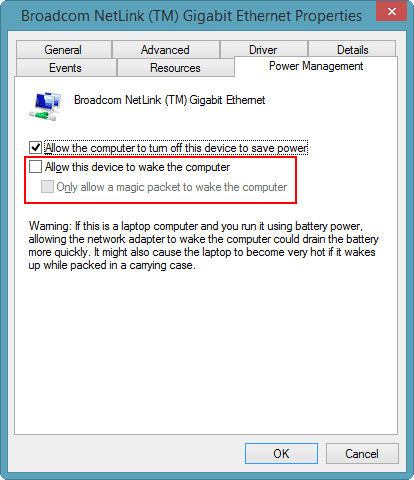 If the “Allow this device to wake the computer” is checked for any network adapter on your PC, and you can change it, uncheck the box. Then, click “OK” to save the changes. You’ll want to shut down your PC entirely. Wait 30 seconds, then restart your PC. These changes will be in full effect now, and you won’t have to worry about your network adapter being able to wake your PC when it’s sleeping or in hibernation mode. Changing these settings in Windows 7, Windows 8, and Windows 8.1 for your network adapter can help conserve power, especially on laptops. When you’re running on batteries, it can be essential when your computer hibernates or sleeps to save as much juice as you can, and this one setting change can do just that. Our guide is easy to use and follow, but as always, TechNorms is here to help you troubleshoot any issues that may pop up. Just share them in the comments! For a desktop user, depending on your power plans and how you use the sleep and hibernate functions, it can be useful in other ways, too. If you don’t use your network adapter at all, disabling it entirely is the way to go, because this prevents any power from going to that part of the computer. It can help keep the network adapter in working condition, too. The more an adapter or any part of your PC’s inner workings is in use, the more it degrades over time. 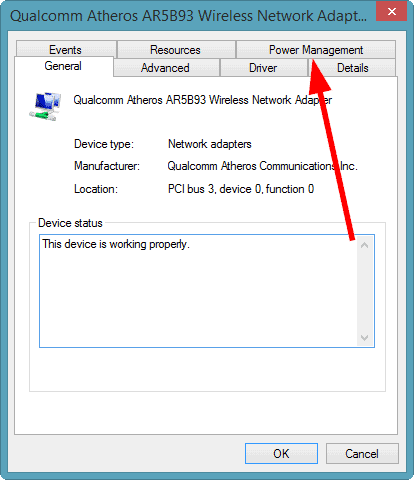 Disabling the network adapter, in addition to ensuring it doesn’t wake a PC, can be beneficial for the overall upkeep of your computer over time.